MINI Inspired by Goodwood goes on sale | Hoot! The MINI Inspired by Goodwood makes its European debut this weekend at the Goodwood Festival of Speed. The luxurious version of the MINI has been designed in collaboration with the Rolls Royce Motor Cars design team, and as a result the dashboard, central console, air vents, carpets, heated lounge leather seats, roof lining, doors and interior cladding all boast the exclusive Rolls-Royce colour Cornsilk. The dashboard and doorhandle surfaces, which are manufactured in Goodwood are finished in Walnut Burr, a premium wood trim exclusive to Rolls-Royce. The car also features cashmere roof linings, sun visors and rear storage tray as well as deep-pile lambswool foot mats – a quality also featured in current Rolls-Royce models. 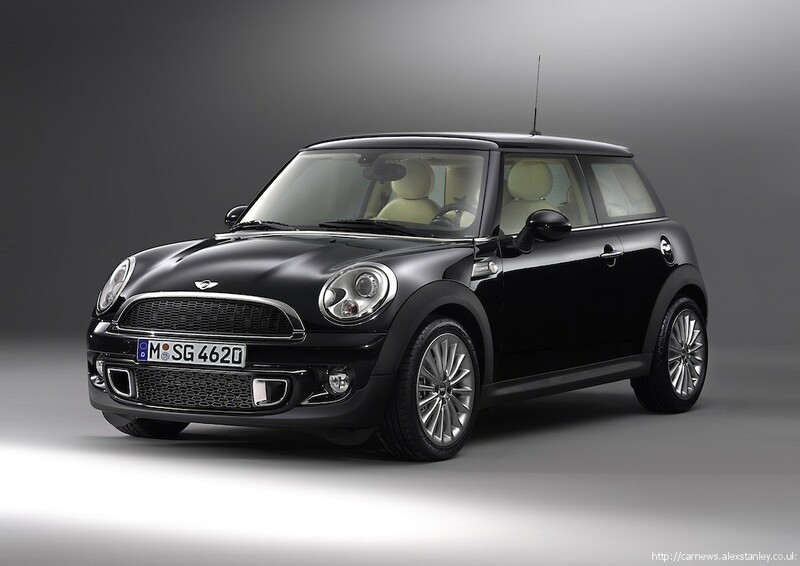 Featuring the 1.6 184bhp engine from the Cooper S, the car has Xenon Adaptive Headlights, Park Distance Control, automatic air conditioning, an onboard computer, MINI Navigation and the audio system Radio MINI Visual Boost, which includes the Harman Kardon hi-fi speaker system. This entry was posted in MINI and tagged Goodwood, MINI, Rolls Royce. Bookmark the permalink.